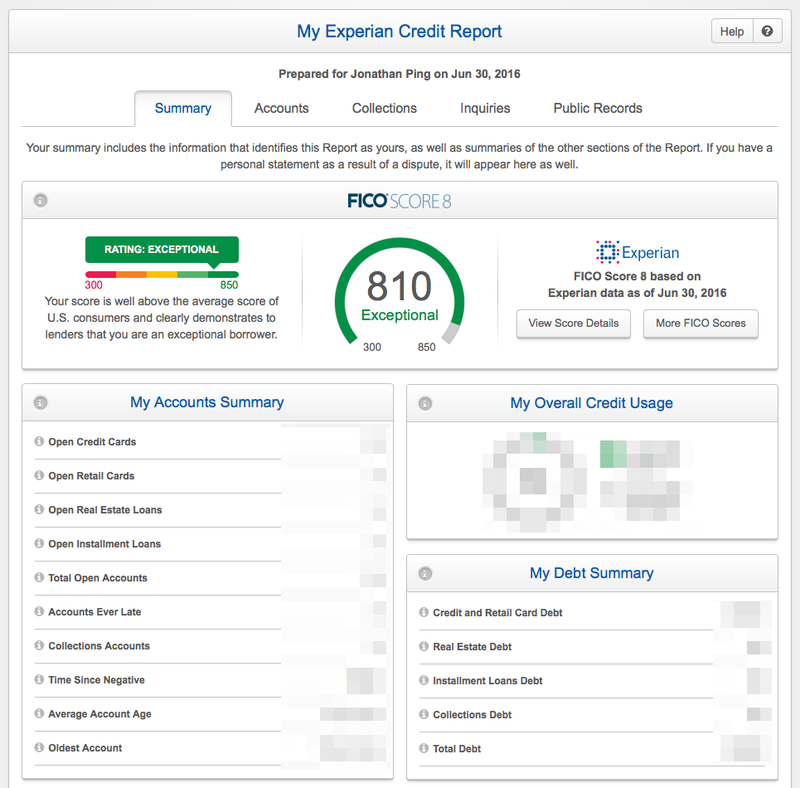 The URL is suspiciously generic and raised my scam radar, but Experian-owned FreeCreditScore.com has been revamped to offer a pretty good package – a free FICO score, full credit report, and free credit monitoring based on your Experian credit report data. (Continue to be wary of other less-credible sites.) Like most of its competitors, “free” means that you agree to let them market products to you based on your personal information. This post provides additional details regarding this service. Update frequency: Every 30 days or when you log in, whichever is longer. Limitations: Available to everyone. No specific credit card required. You must provide personal information, including Social Security Number. Name, address, etc. This is required for any service that checks your credit score. Identity verification questions. They will ask you some multiple choice questions based on your Experian credit report data in order to verify your identity. If you don’t pass this quiz, I would go over to AnnualCreditReport.com and get a copy of your report to scan for errors. What kind of information do you get? The score model is FICO Score 8, based on your Experian credit report. This is the same score model and credit bureau offered by American Express and CreditScoreCard by Discover, and is within a few points for me (the check dates are slightly off). The other two major bureaus are TransUnion and Equifax. The major difference is that FreeCreditScore.com offers your full Experian credit report and ongoing credit monitoring of your Experian credit data. This includes any new credit inquiries, new accounts, pubic records, fraud alerts, and other personal information updates to your Experian credit report. How often is it updated? As often as every 30 days, but only if you log in to the website. Many sites operate this way, as it reduces their costs of grabbing your score if you are no longer interested. Also, they want you to log in so that they can show you advertisements. Bottom line. 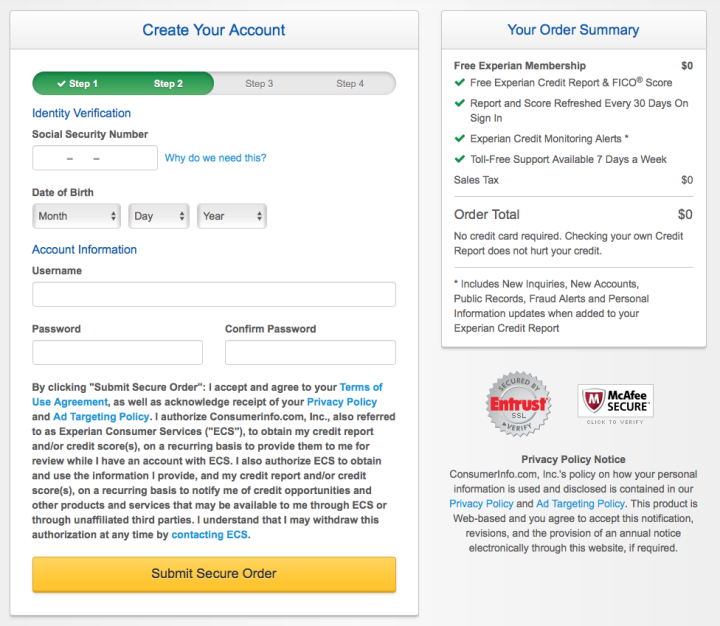 Experian owns FreeCreditScore.com and has jumped in fully into the “free score for showing you ads” business model. As they aren’t a credit card issuer, they can feel free to open it up to everyone. They offer the full Experian package of free FICO score, full credit report, and free credit monitoring based on your Experian credit report data. 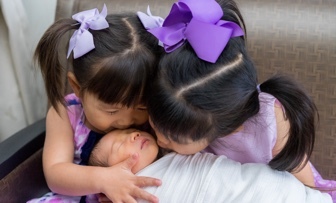 Most other Experian-based providers only offer one out of these three. There are a lot of options out there now, but if you wanted to cover the other two bureaus efficiently, consider that CreditKarma.com offers free weekly updates of both your TransUnion and Equifax credit report factors in one site. You also get free weekly non-FICO credit scores and free automatic, daily TransUnion credit monitoring.